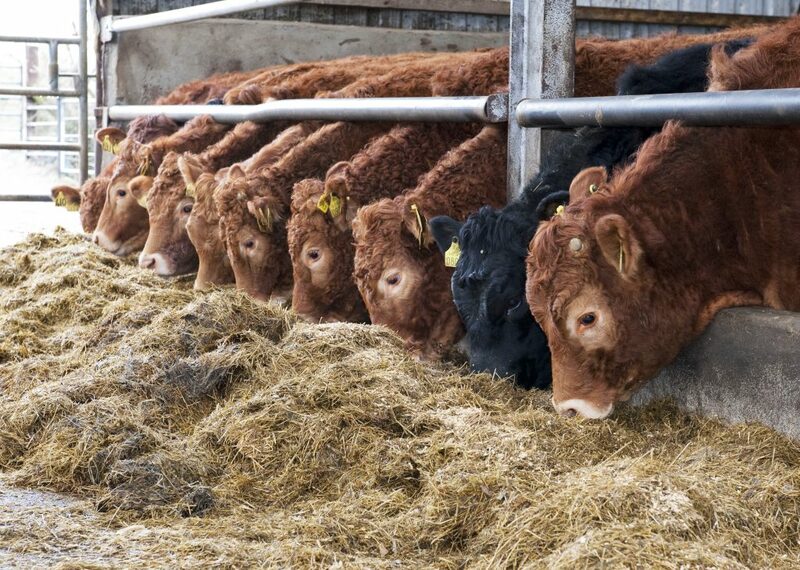 Latest revisions to the final livestock population statistics in the UK for June confirm that supplies of beef cattle are likely to be tighter in 2015, according to EBLEX. 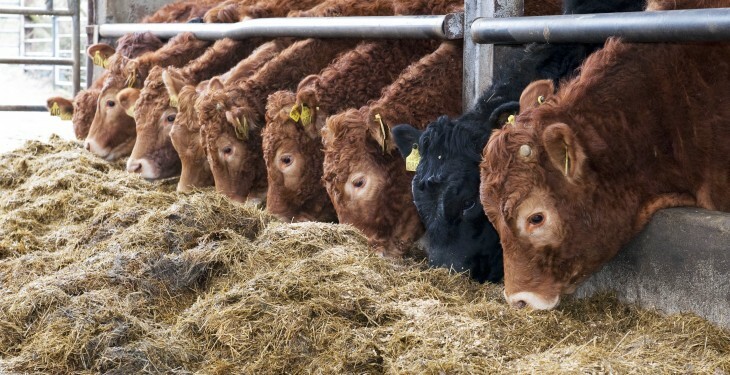 It says the number of cattle on the ground between one and two-years-of-age was revised downwards which continues to point towards the likely-hood of a tighter supply situation in 2015. 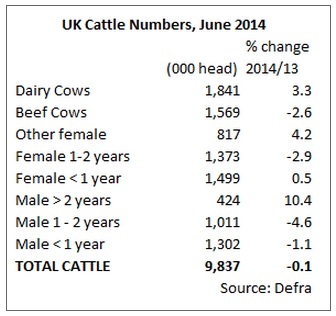 The total number of cattle and calves in the UK in June 2014 was still almost unchanged on the year at just over 9.8 million. According to EBLEX while the final results, which take account of this year’s Welsh figures, revise the growth in the breeding herd up a fraction, they further confirm that the component parts moved in opposite directions. The UK’s dairy herd is revised upwards to have grown by over three per cent to 1.84 million head, while the beef herd contraction is also revised upwards to now have fallen by three per cent to 1.57 million head. In 2014 the United Kingdom by far the largest market for Irish beef. EBLEX says shipments to the UK have been well ahead of year earlier levels this year. In the 10-month period to October, shipments to the UK were up 11% on the year to amount to 118,000 tonnes.